While we all understandably place a high value on our personal data, which can range from logins and photos to bank details, fraudsters don’t share this sentiment. Research from price comparison experts Money Guru have found how much your data profile is really worth. 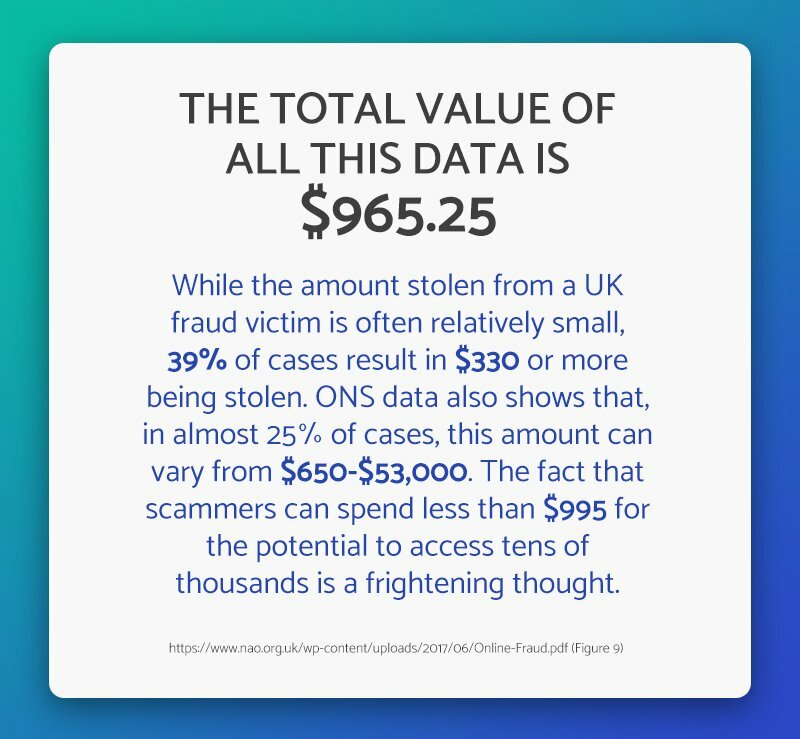 An entire online data profile can be purchased for less than £750, a shocking figure when compared to the financial and reputational damage scammers can cause with this information. These accounts are some of the most widely used in the UK and the information attached to them – personal data, payment details, etc. – could be used for all manner of fraudulent activity up to and including identity theft. Here is a breakdown of the some the account details available on the dark web and how much criminals are paying for them. 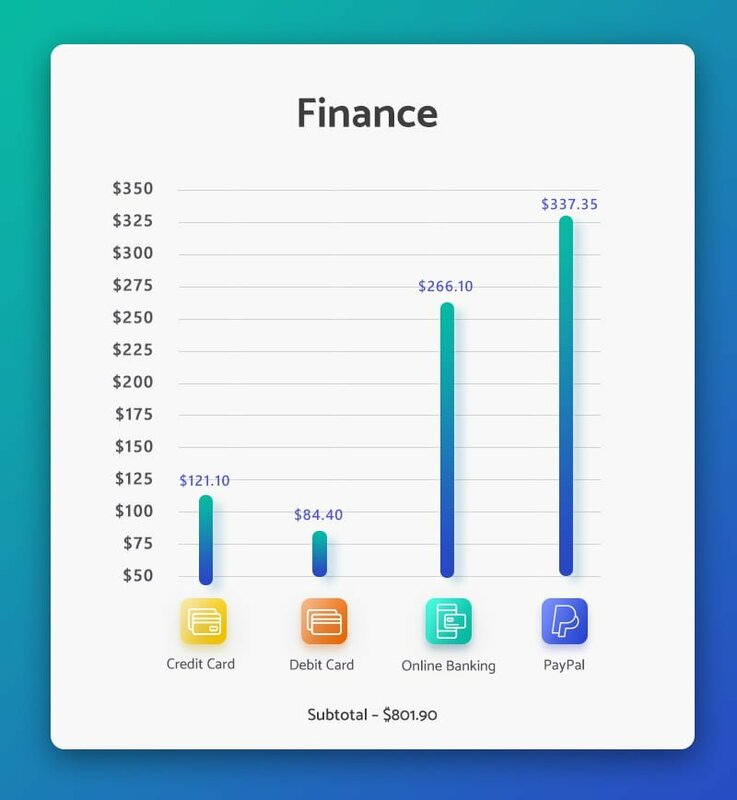 Your credit and debit card details as well as online banking and PayPal data could all be available for as little as £619.40. A range of online shopping data is available to purchase on the dark web. 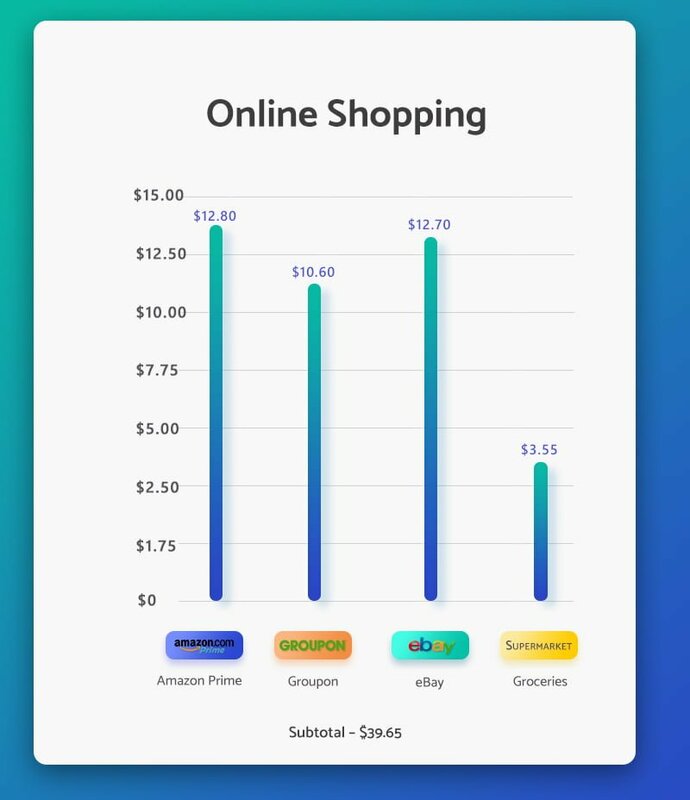 This study looked at Amazon Prime, Groupon, eBay and Tesco Online and found that data from all these accounts is only worth £30.30. 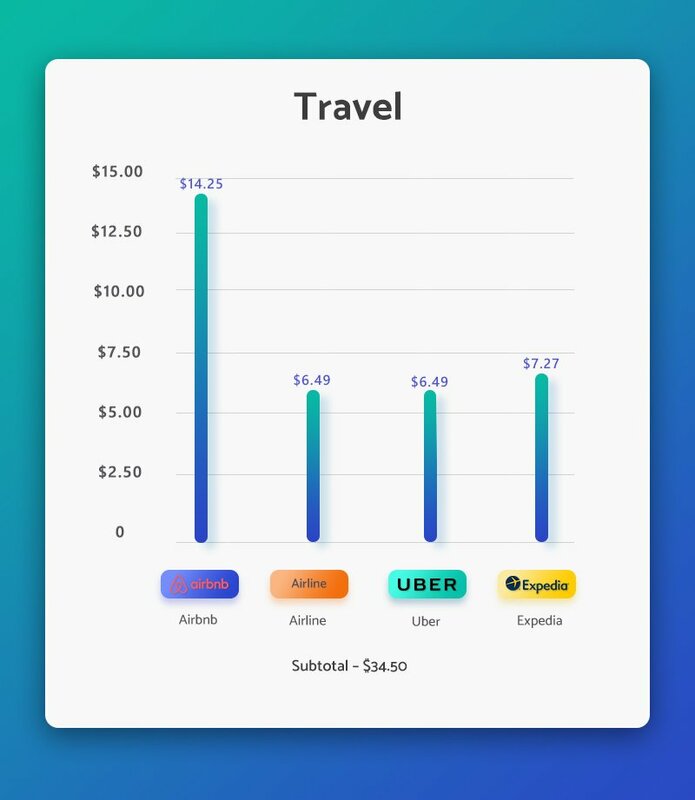 Frequently used travel accounts Uber and Airbnb have a combined individual user data worth of £15.80. 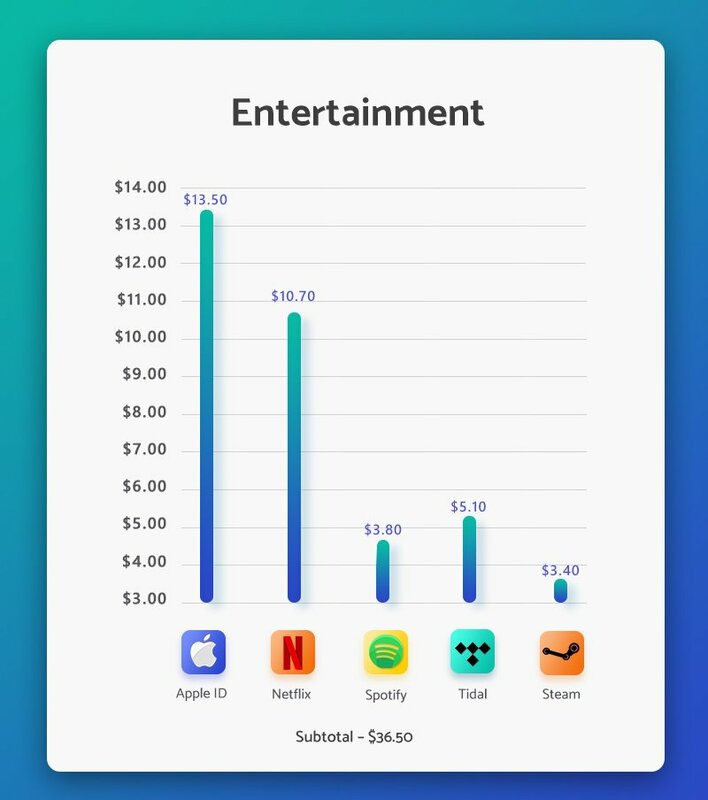 A selection of entertainment account details was searched for on the dark web and, despite them all requiring linked payment information, would only cost cybercriminals £27.90 to purchase. The majority of us have a selection of social media accounts to fulfil the need to keep in touch with others and post pictures of every aspect of our lives. 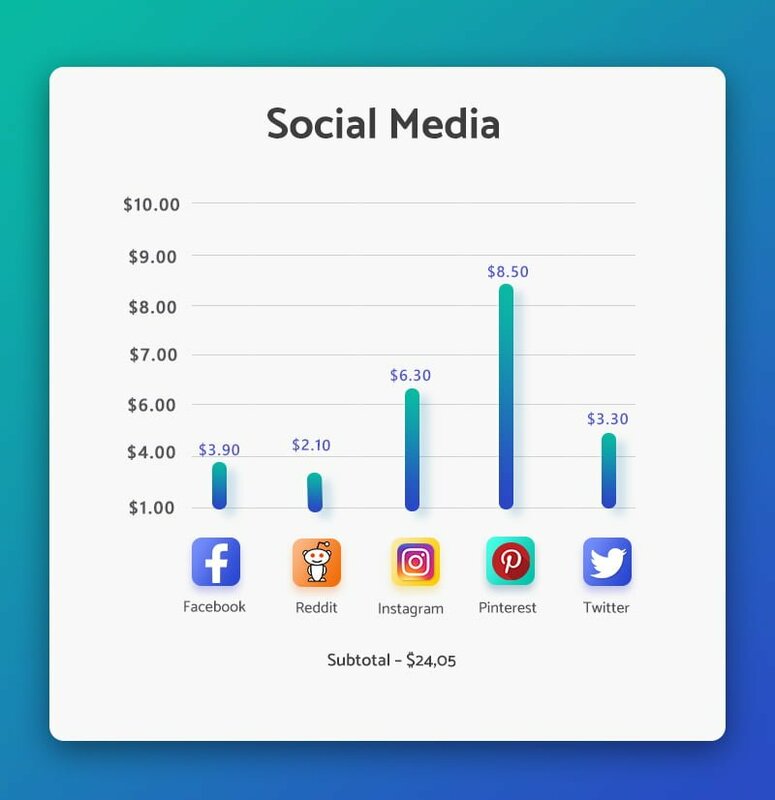 With so much sensitive data in one place, it’s a sobering thought to consider that individual account information for Facebook, Reddit, Instagram, Pinterest and Twitter combined are only worth £18.40. 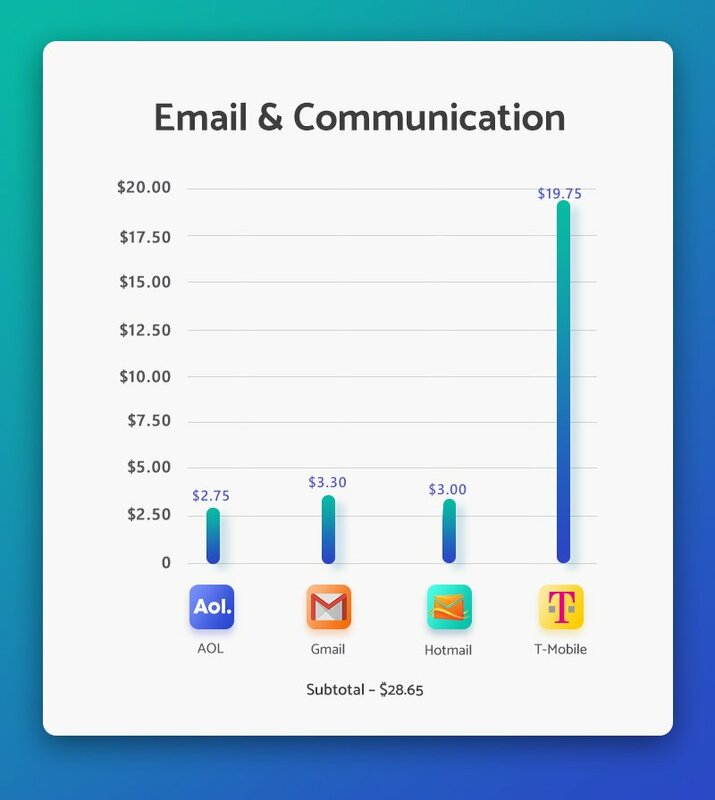 Accounts with mobile phone providers and email services are worth a lot less than you would think. If you were to look for both someone’s Gmail and T-Mobile accounts for instance, you would only have to pay £17.60 to gain access to them both. To find out this information, researchers at Money Guru looked through three dark web marketplaces: Dream Market, Wall St Market and Berlusconi Market. All illicit data uploaded to these sites is anonymous, with the personal identifying data only becoming available on purchase. Aside from the low cost of data, the study found that it’s remarkably easy to access this online black market. It can take as little as 10 minutes to access a marketplace, select your desired data and checkout. Now that you’re aware of the true value of your data to criminals, make sure you take the time to ensure your personal information doesn’t fall into the wrong hands. Discover more about how much your stolen data profile is worth on the data web.